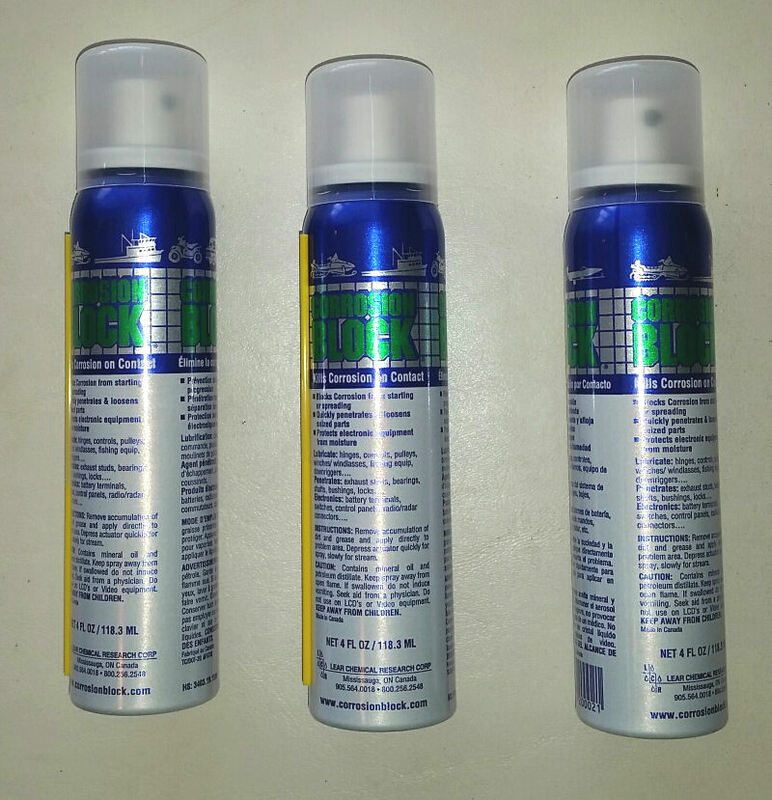 A set of 3 cans (4 oz. each) of Corrosion Block liquid in a convenient, pump spray size. This item is only sold as a 3 pack. These are great to keep in your car, truck or boat.